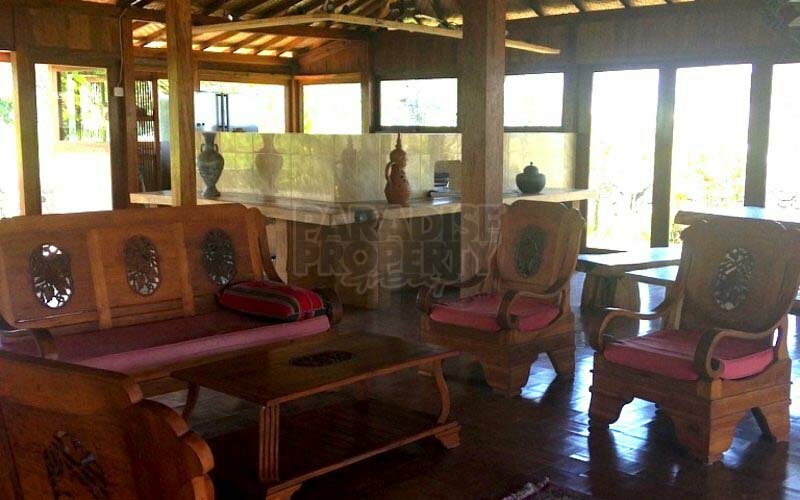 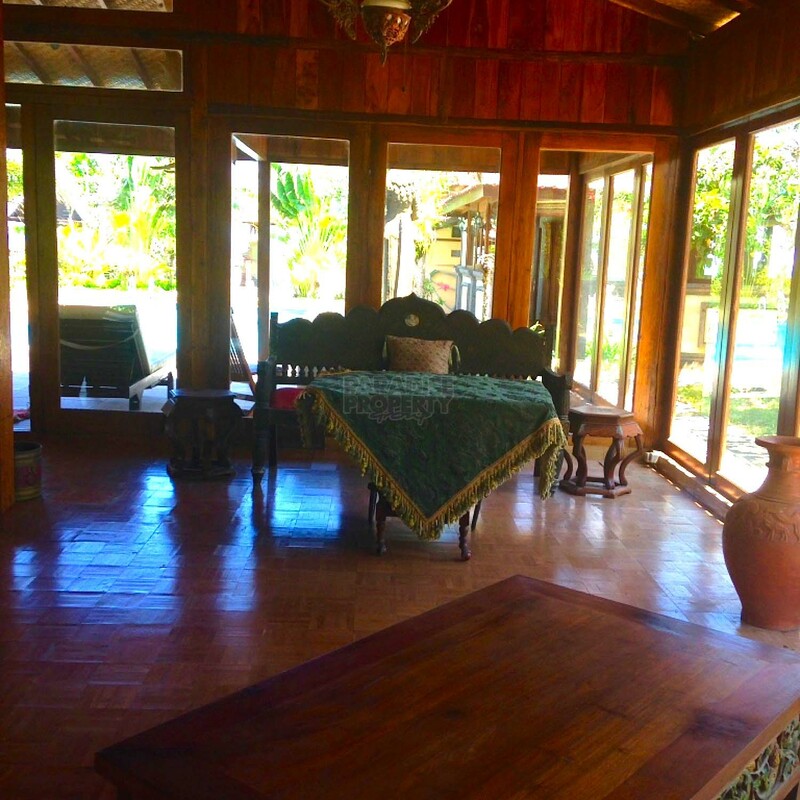 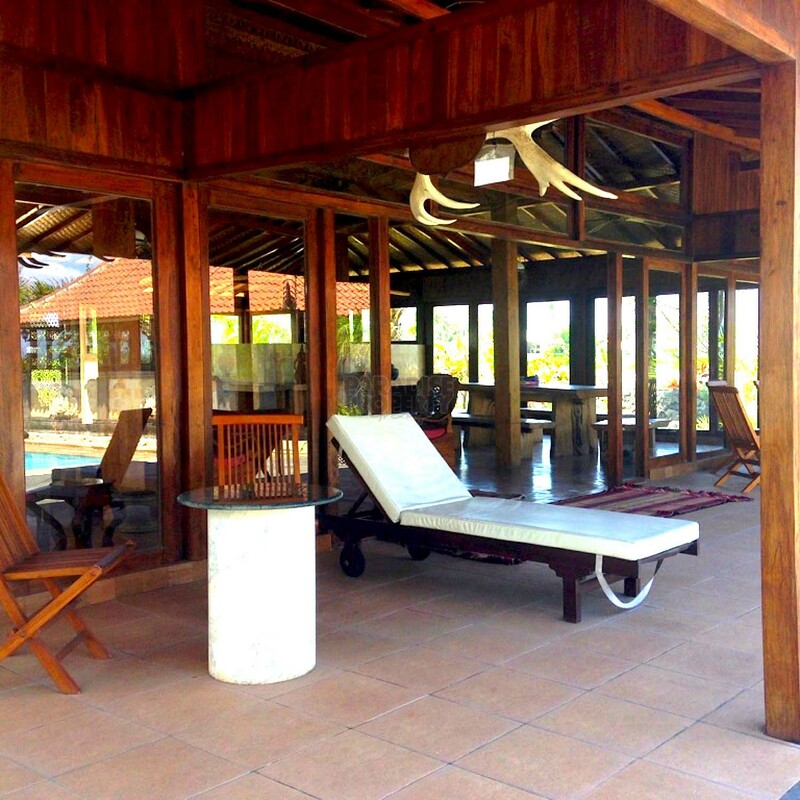 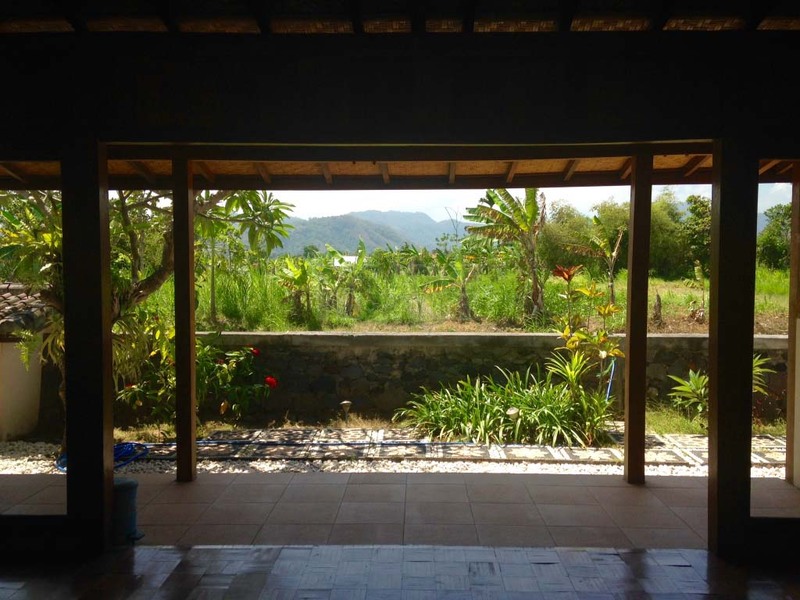 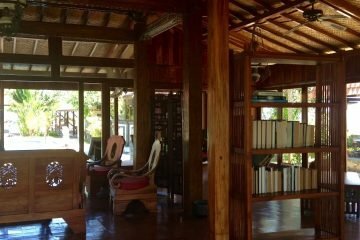 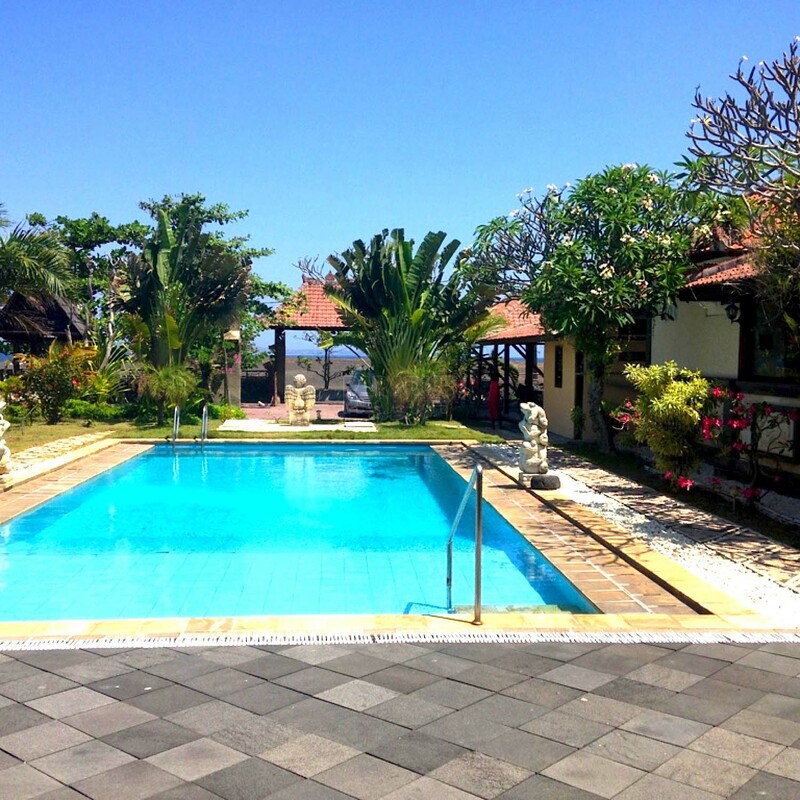 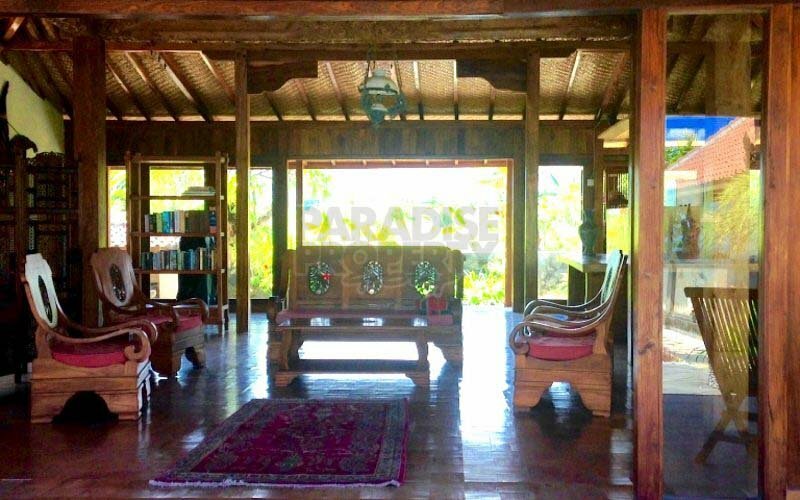 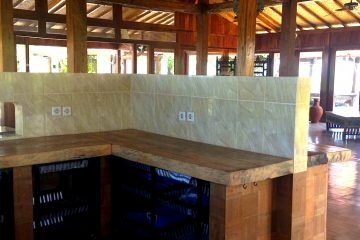 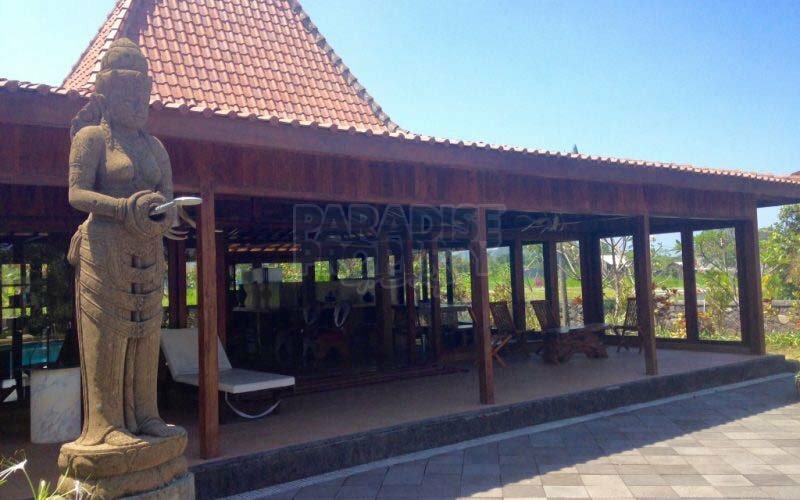 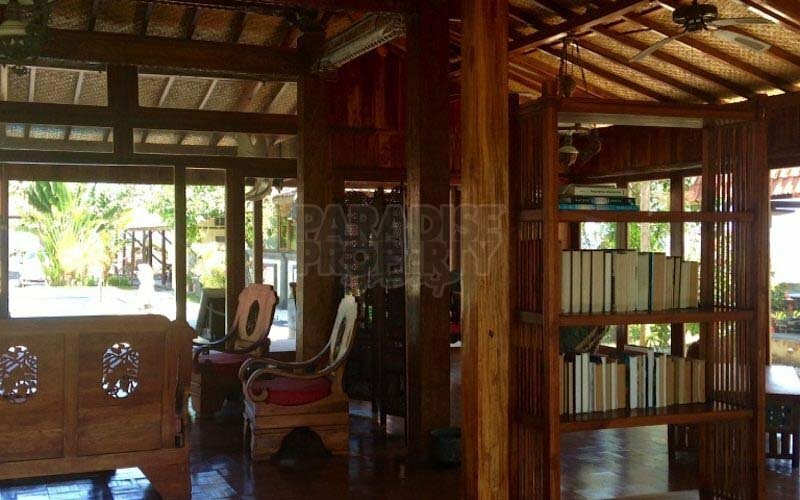 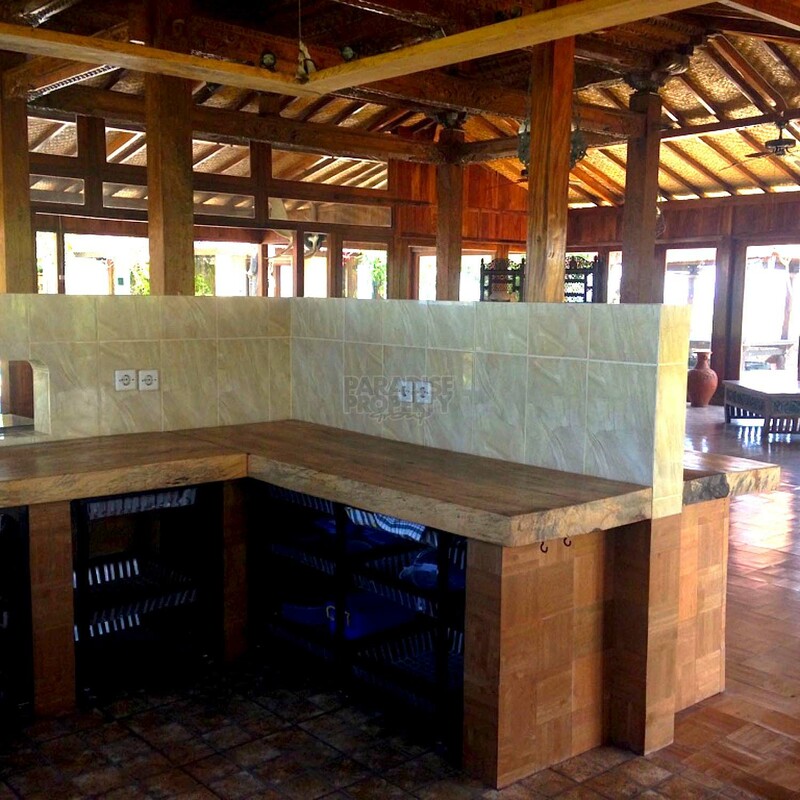 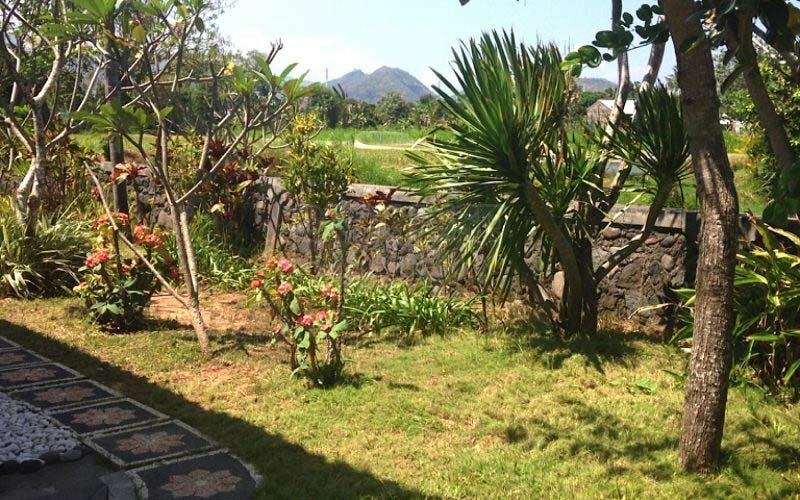 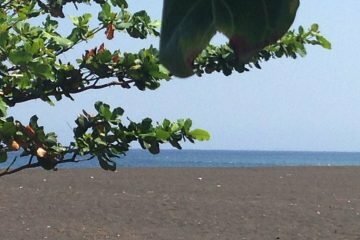 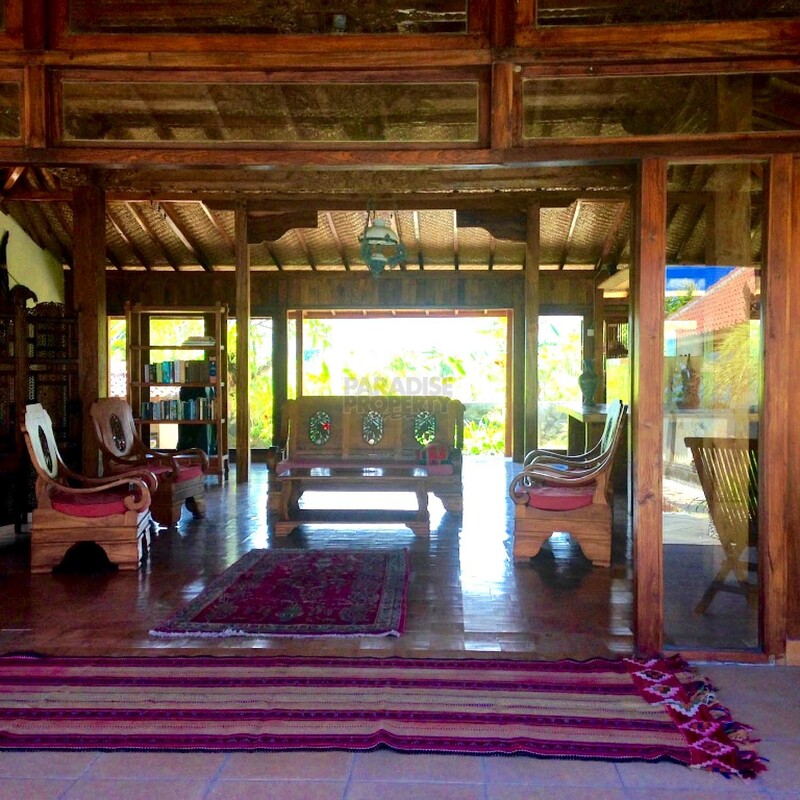 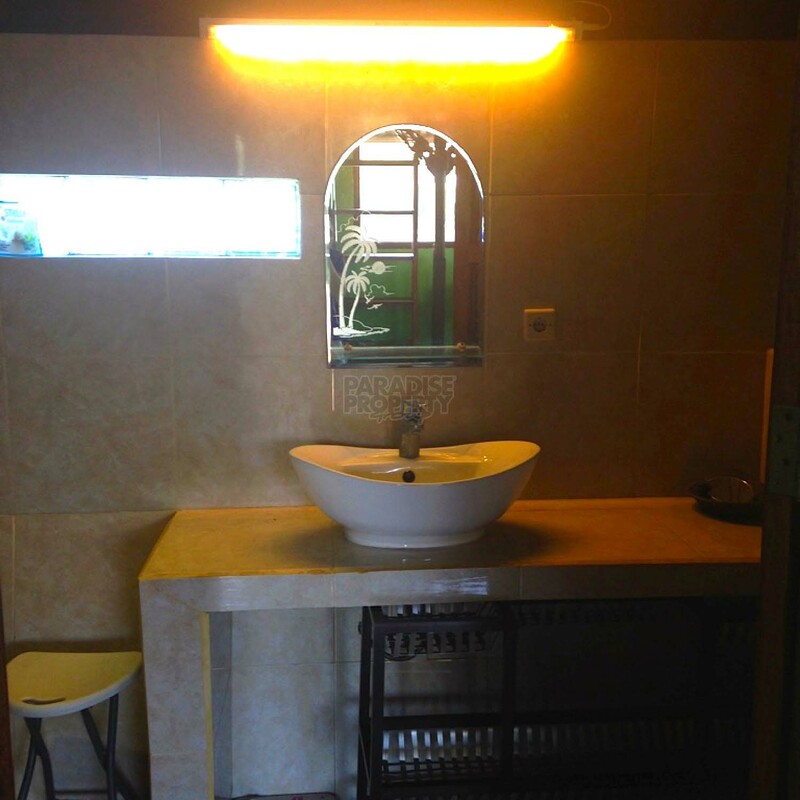 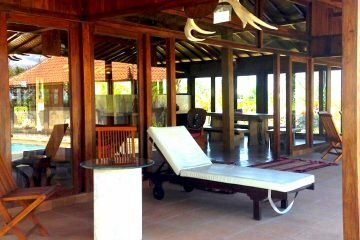 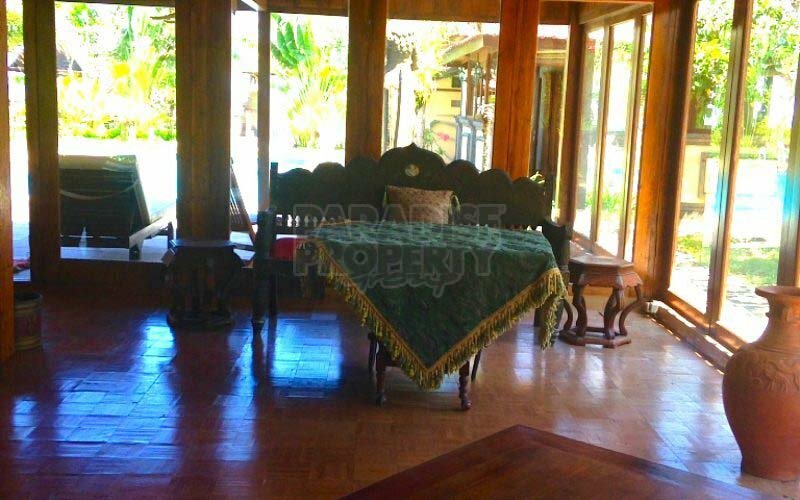 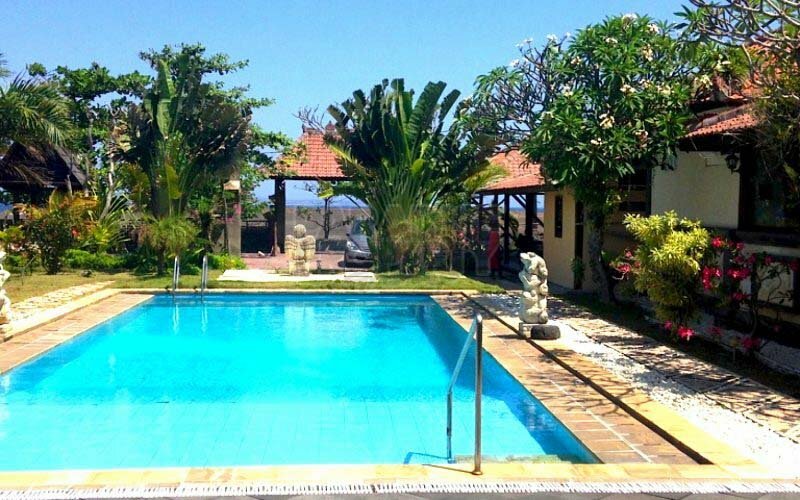 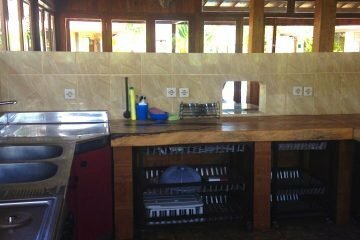 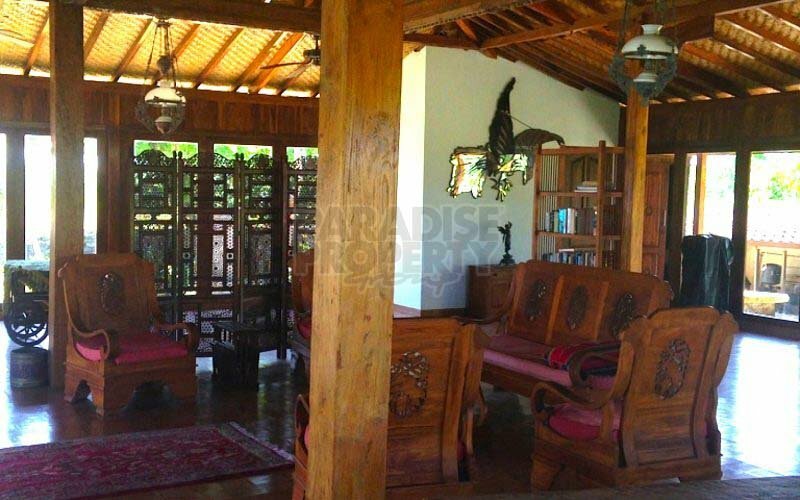 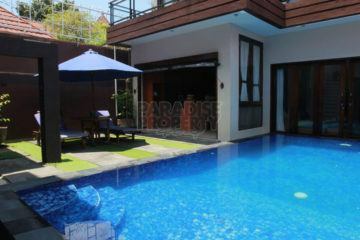 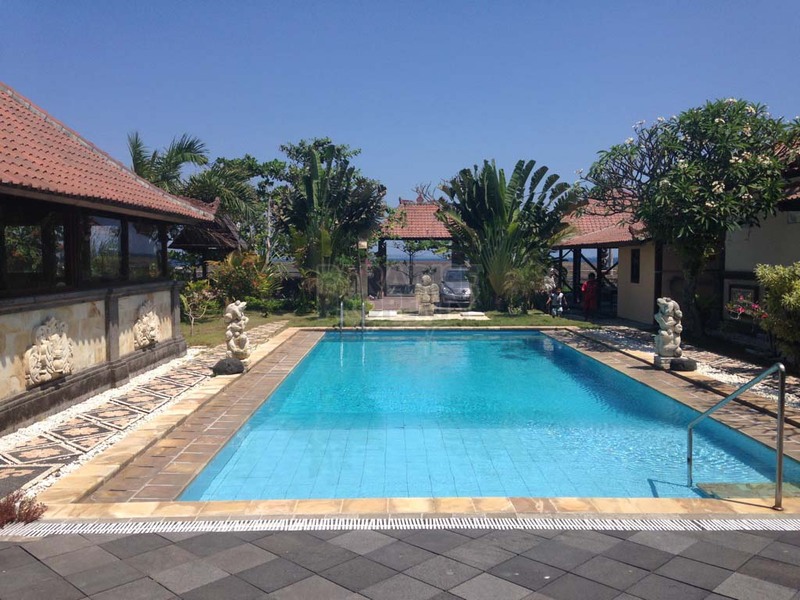 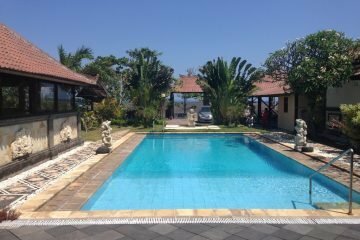 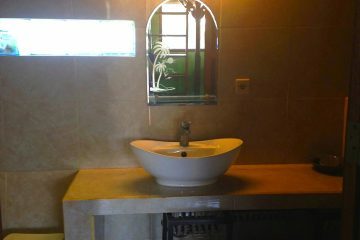 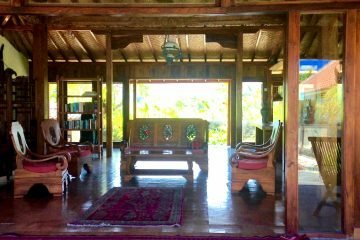 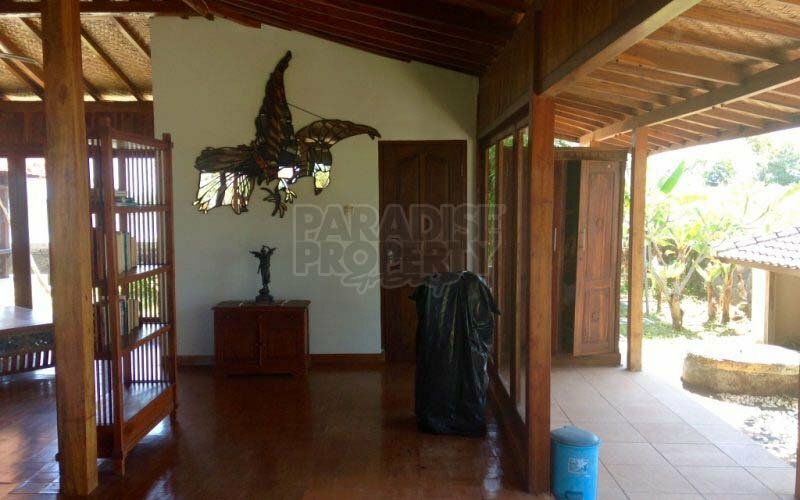 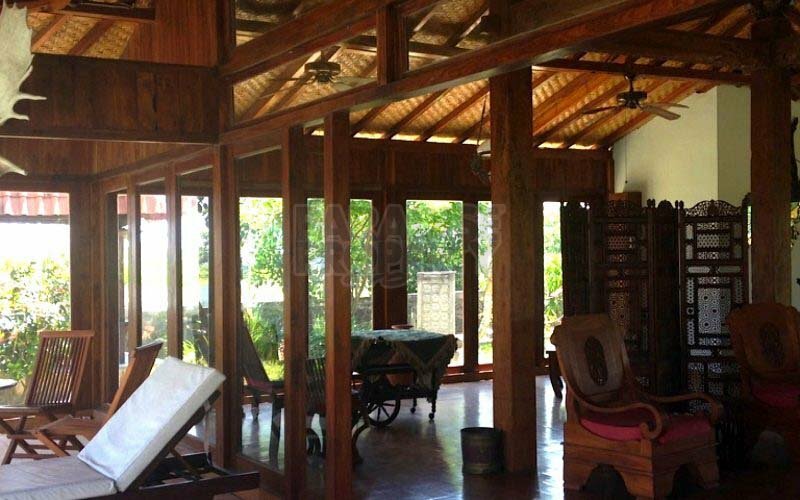 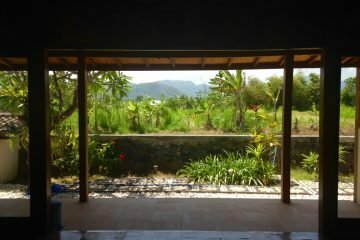 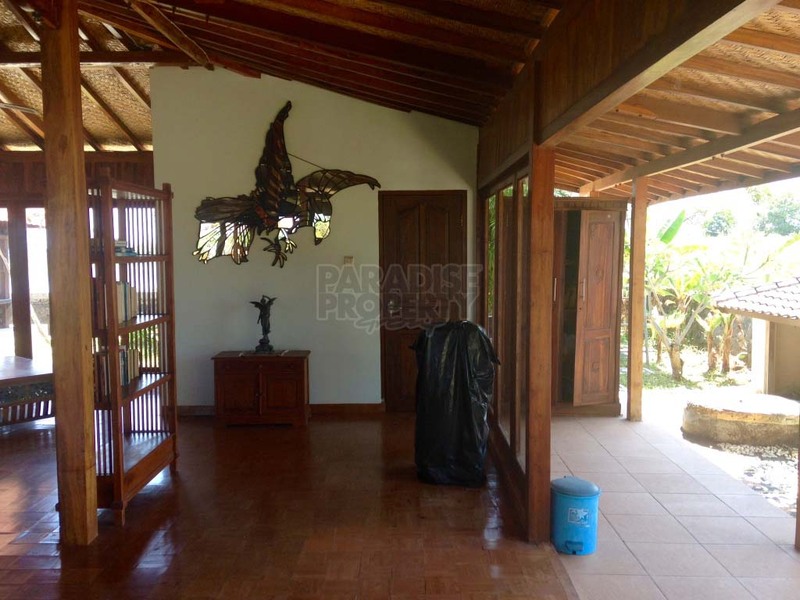 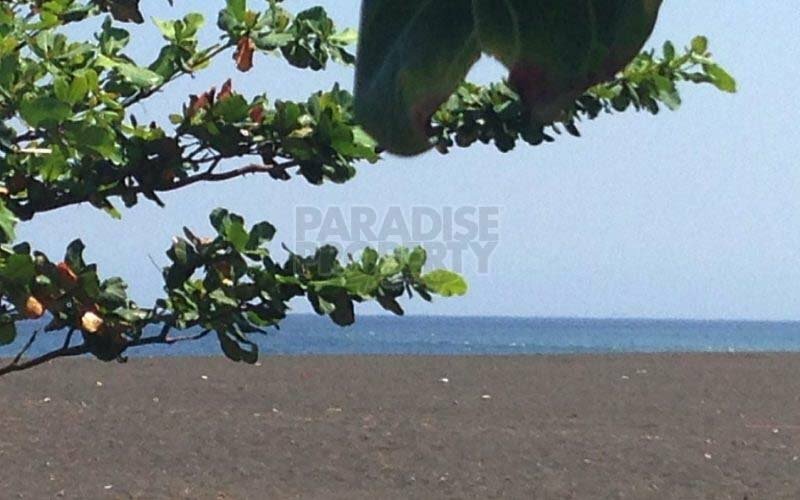 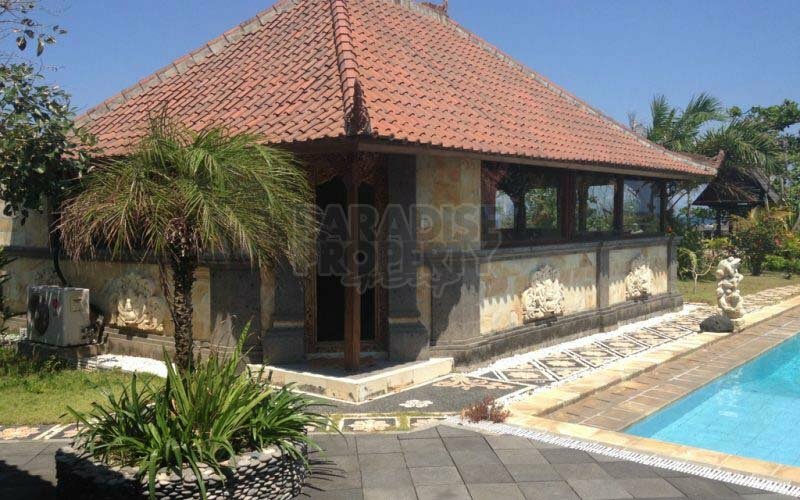 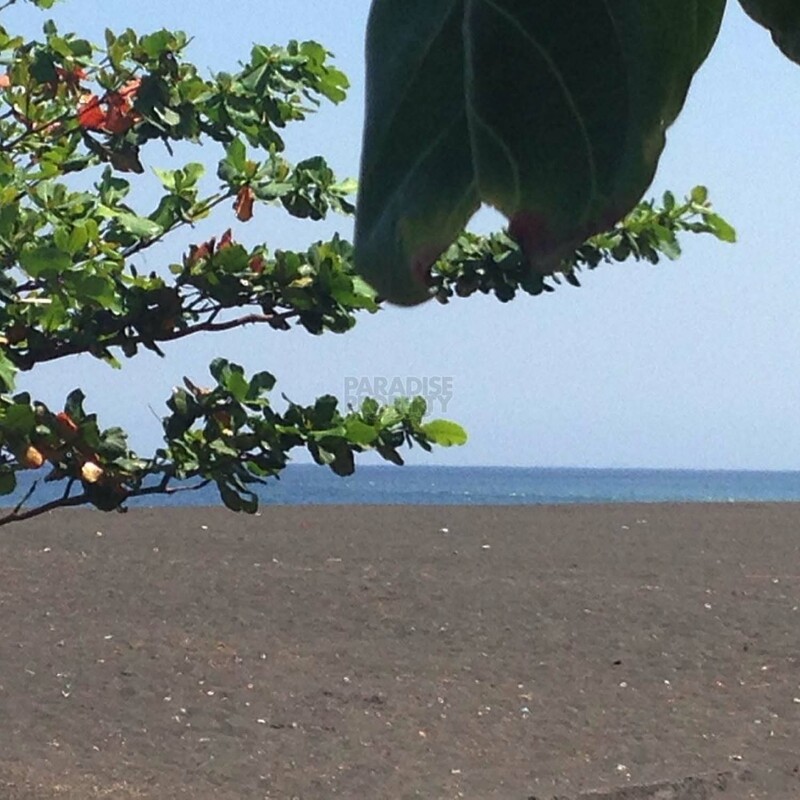 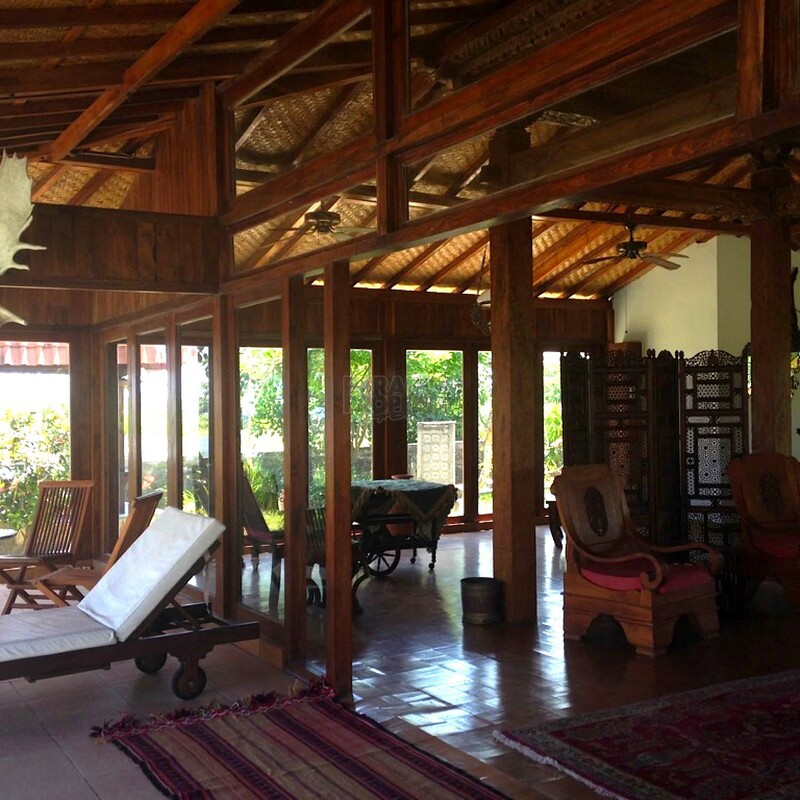 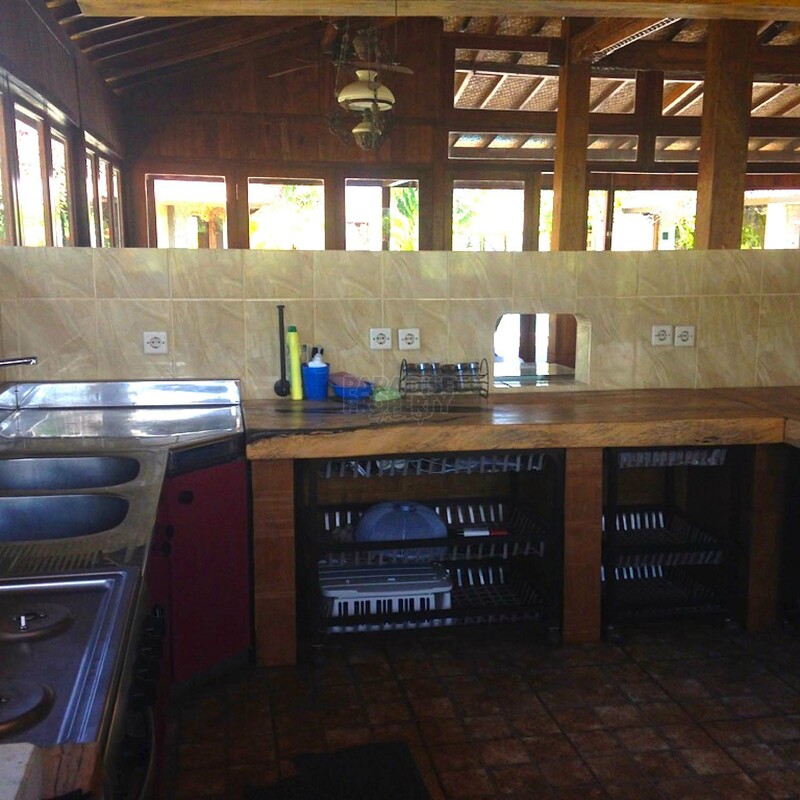 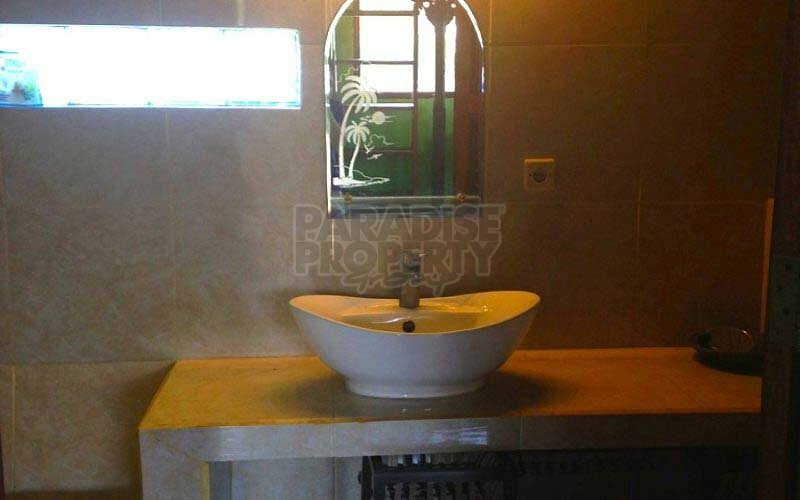 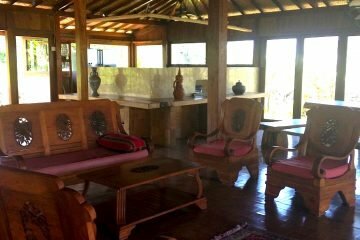 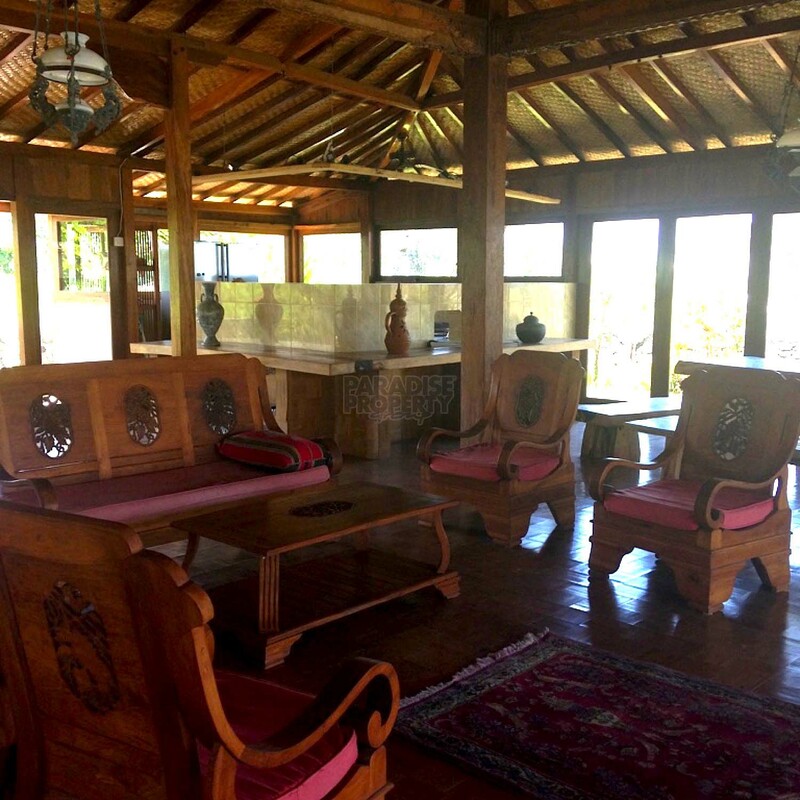 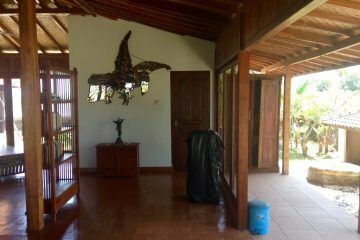 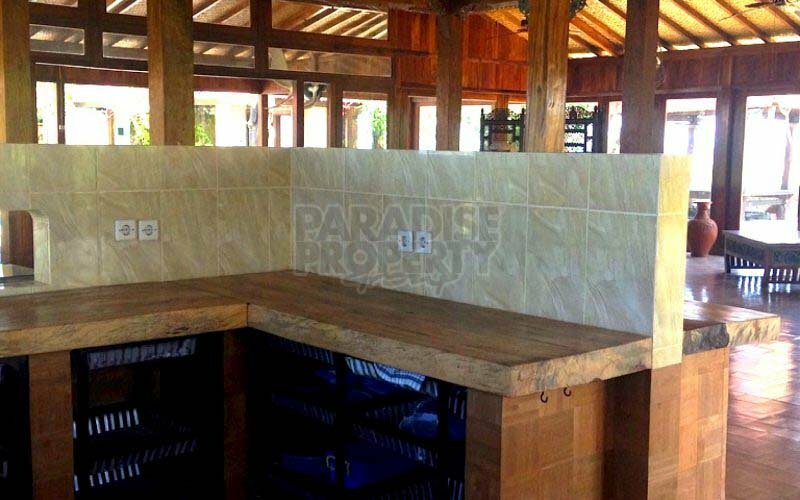 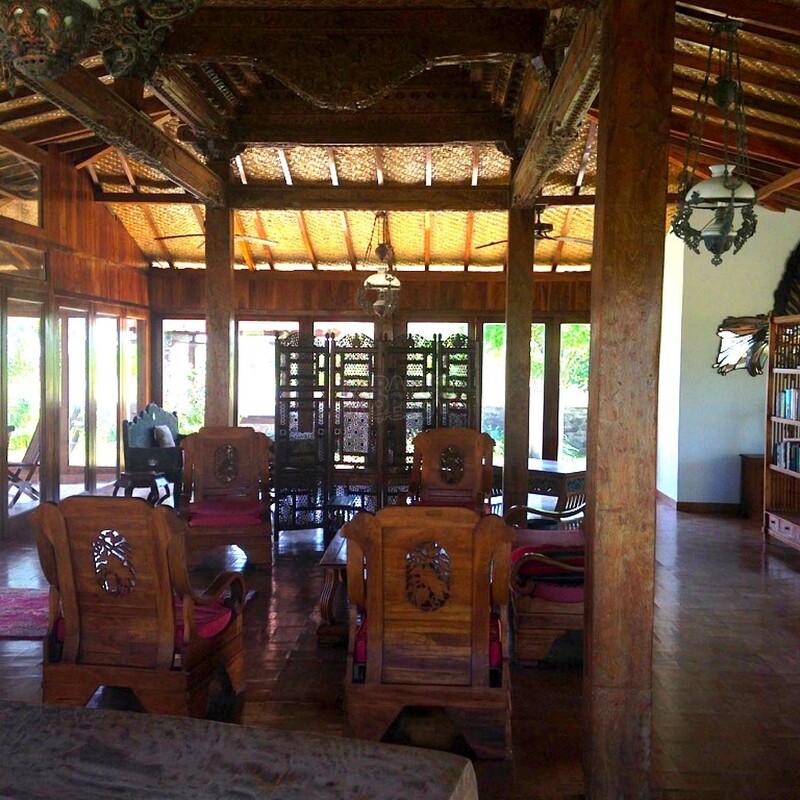 Beachfront secluded family retreat,location near Kusamba village just 15 minute from Keramas beach. 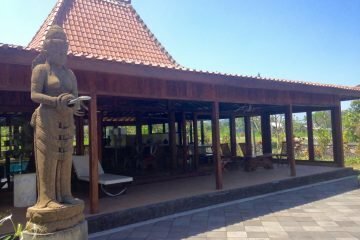 1 large joglo with size 12 x 13,6 meters comprising living room, dining room, bathroom and an open plan spacious kitchen with all new appliances. 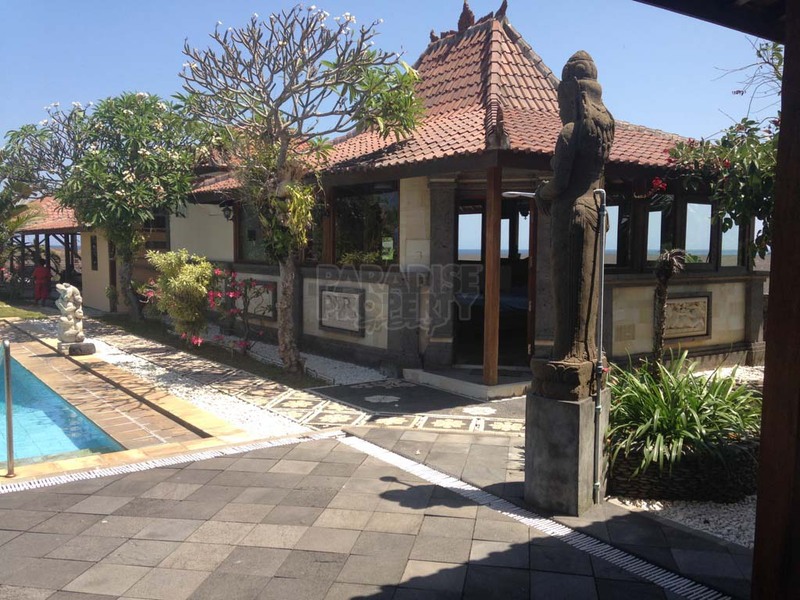 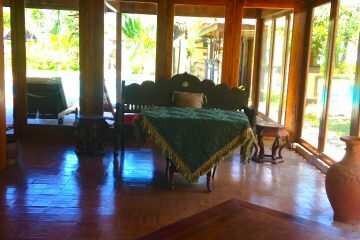 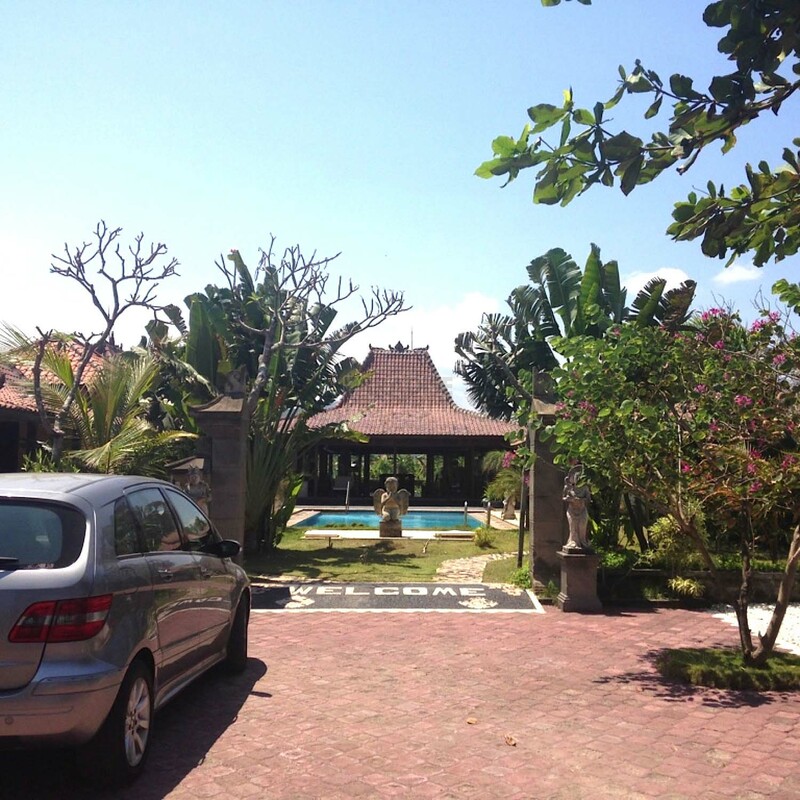 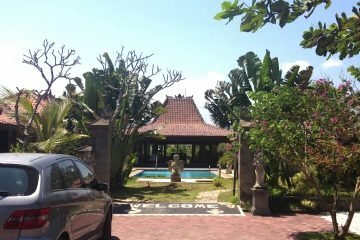 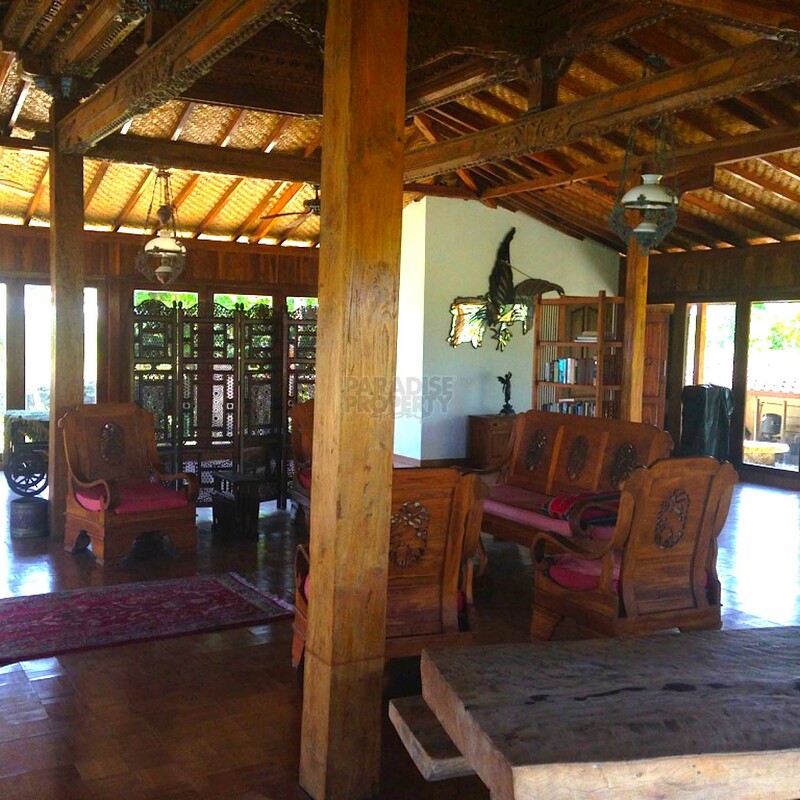 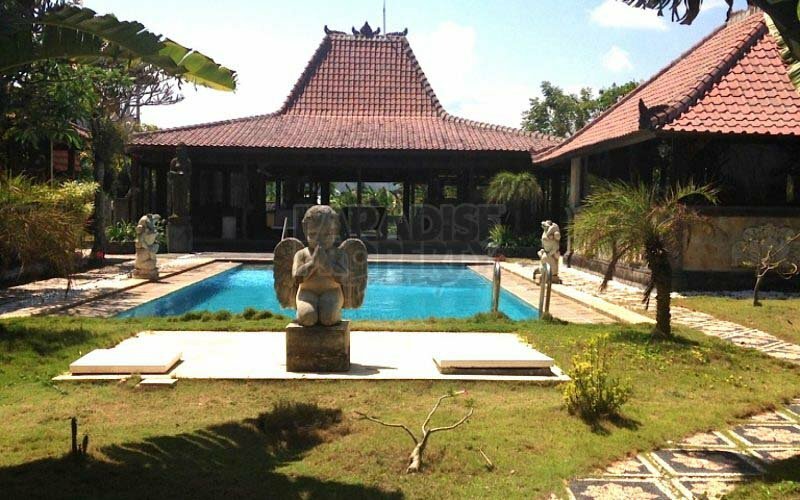 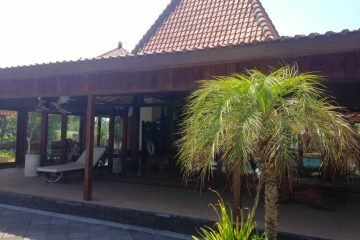 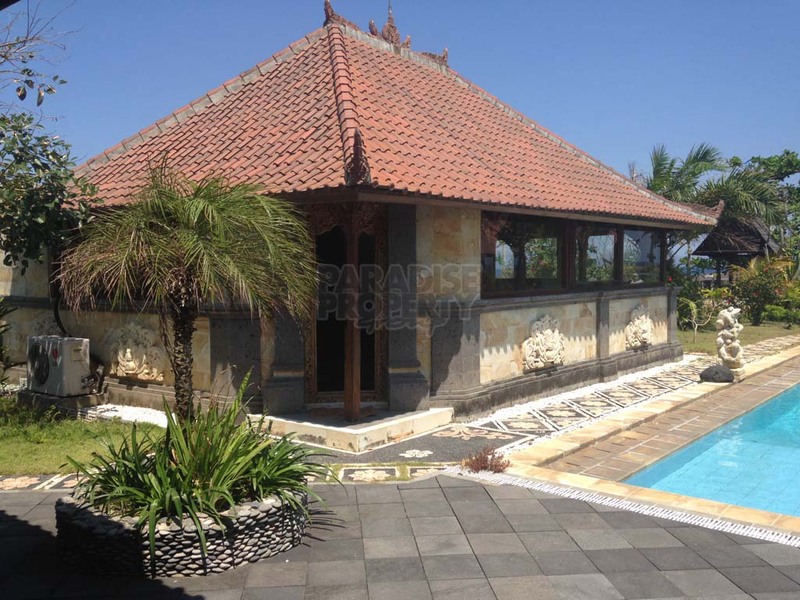 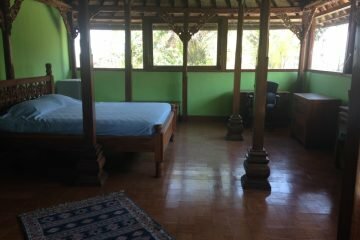 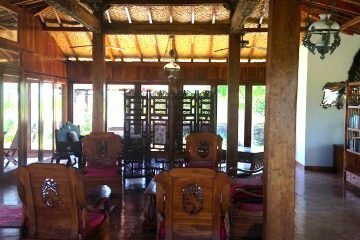 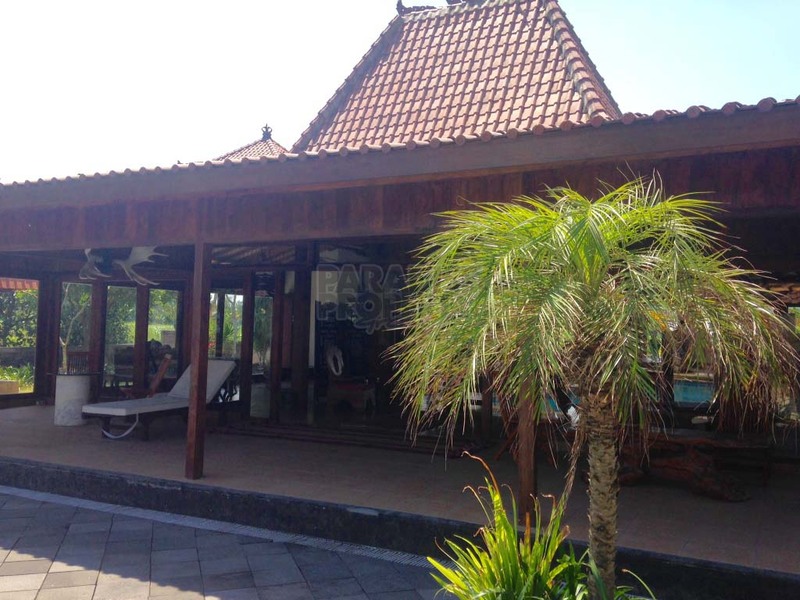 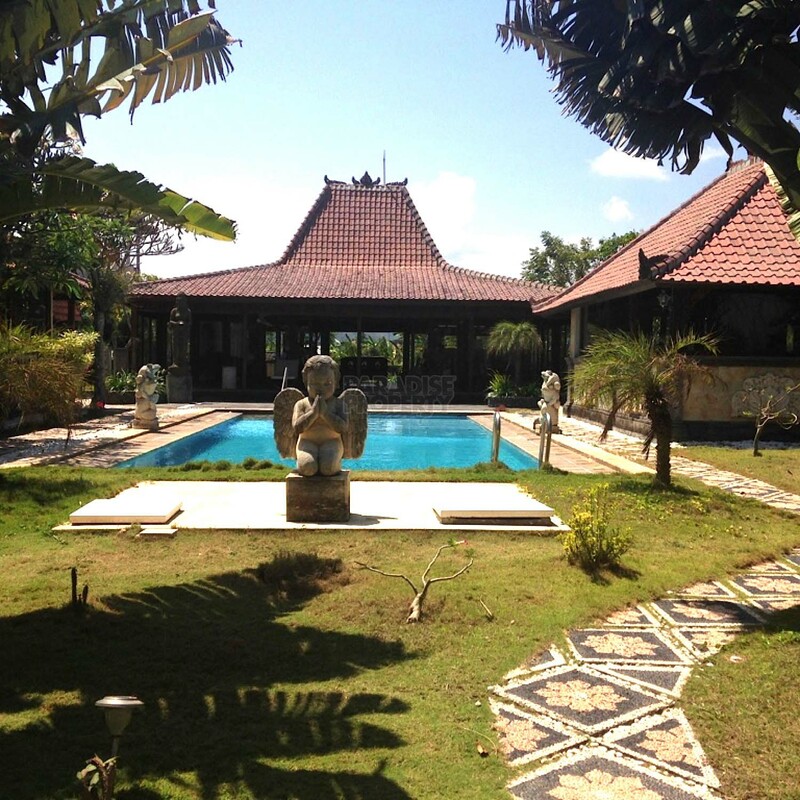 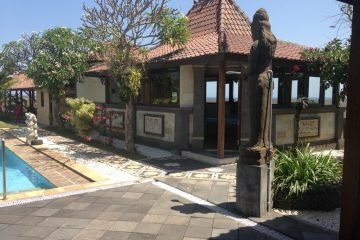 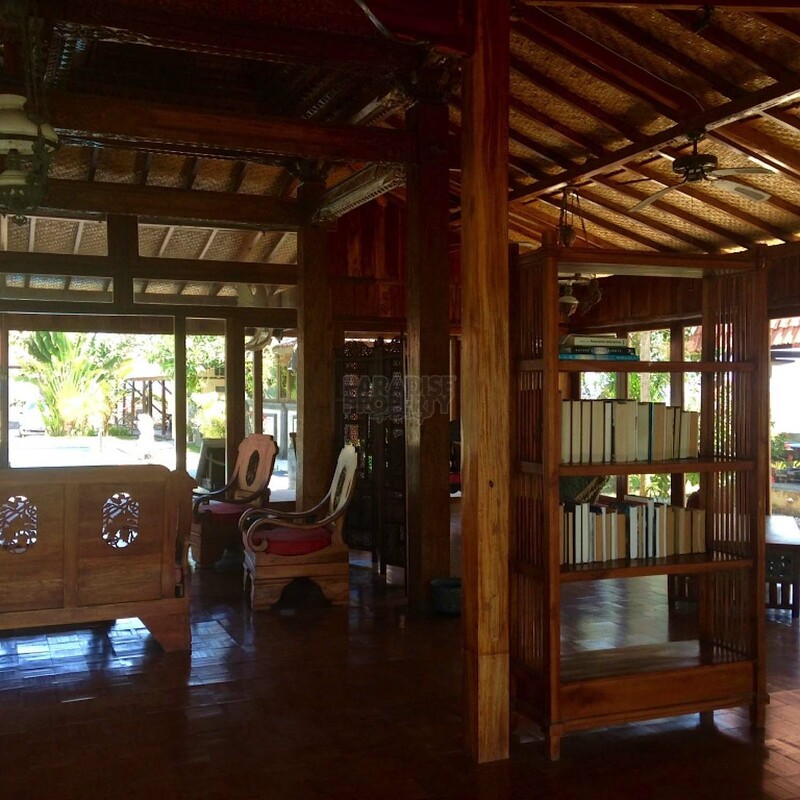 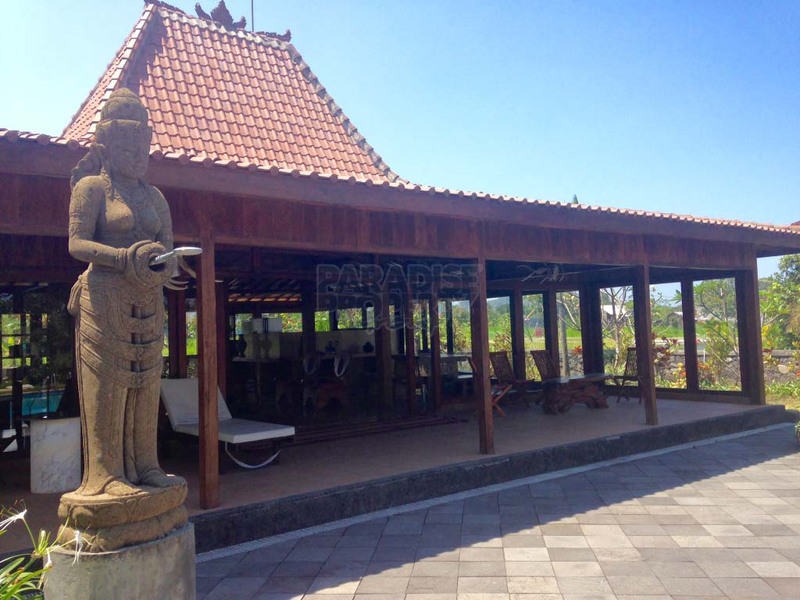 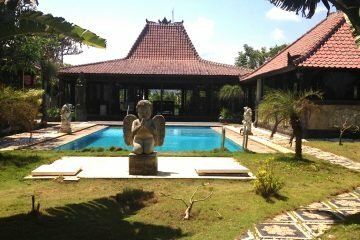 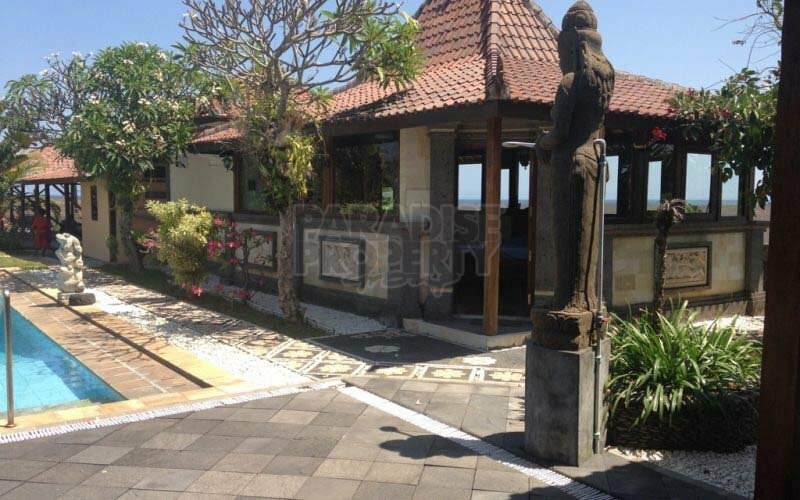 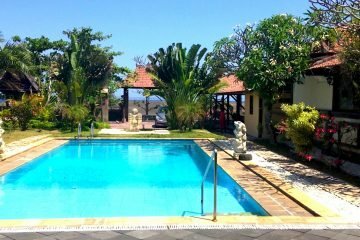 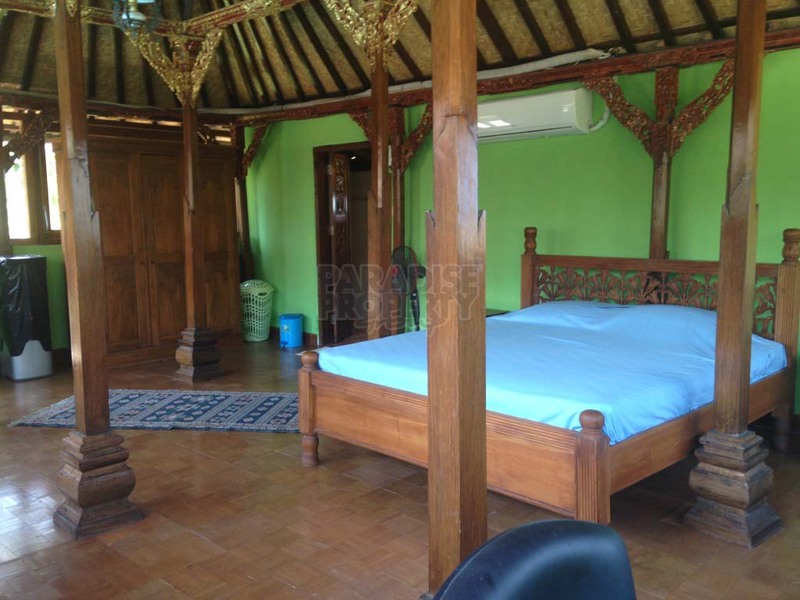 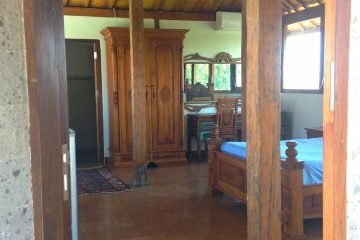 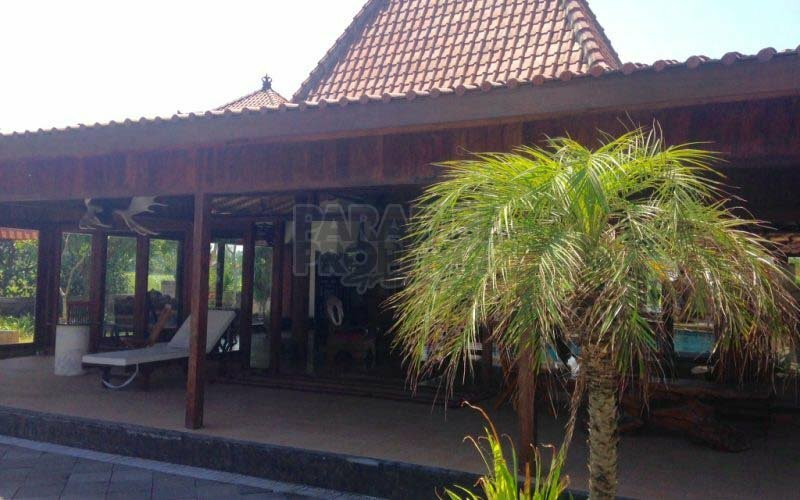 2 separate bedrooms comprised of one traditional Bali style house 77 meters and one joglo 58,5 meters, each with an ensuite bathroom. 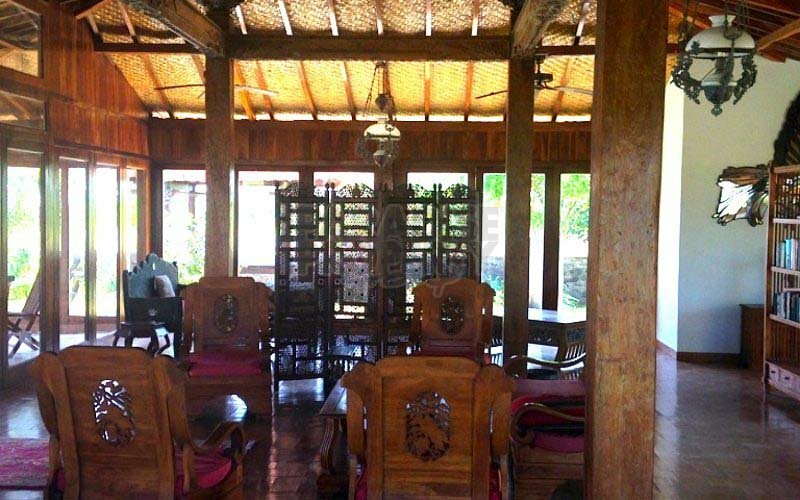 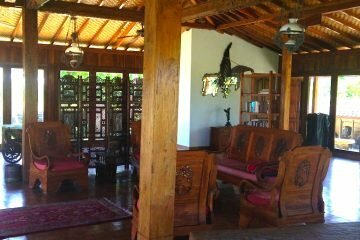 All joglo are ornate with carved doors and ceilings. 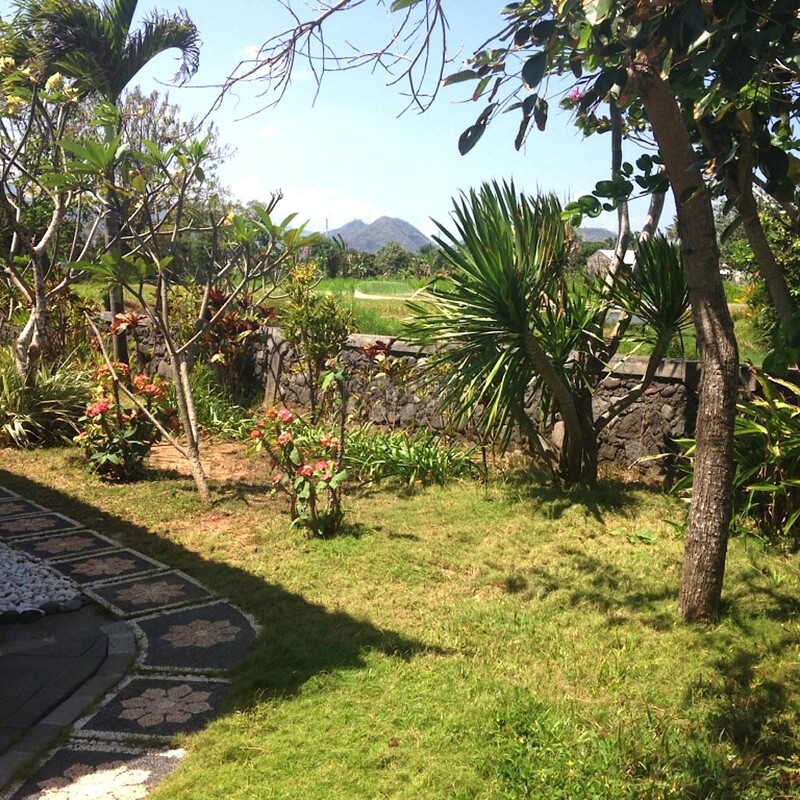 Decorative pathways throughout tropical garden. 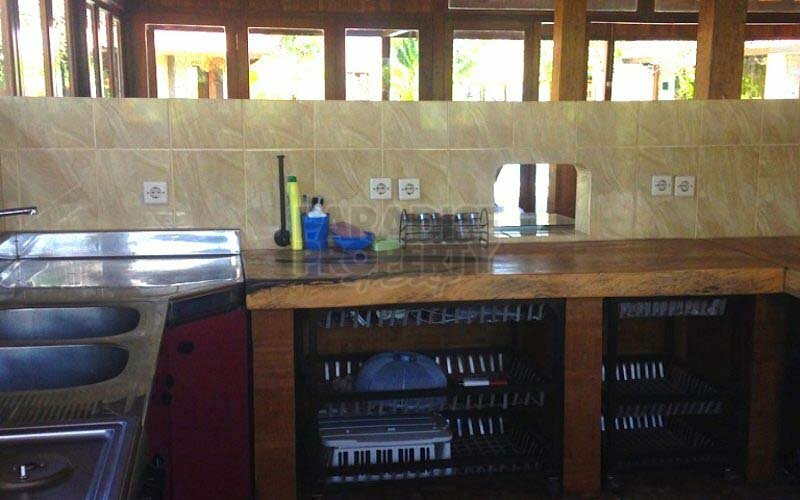 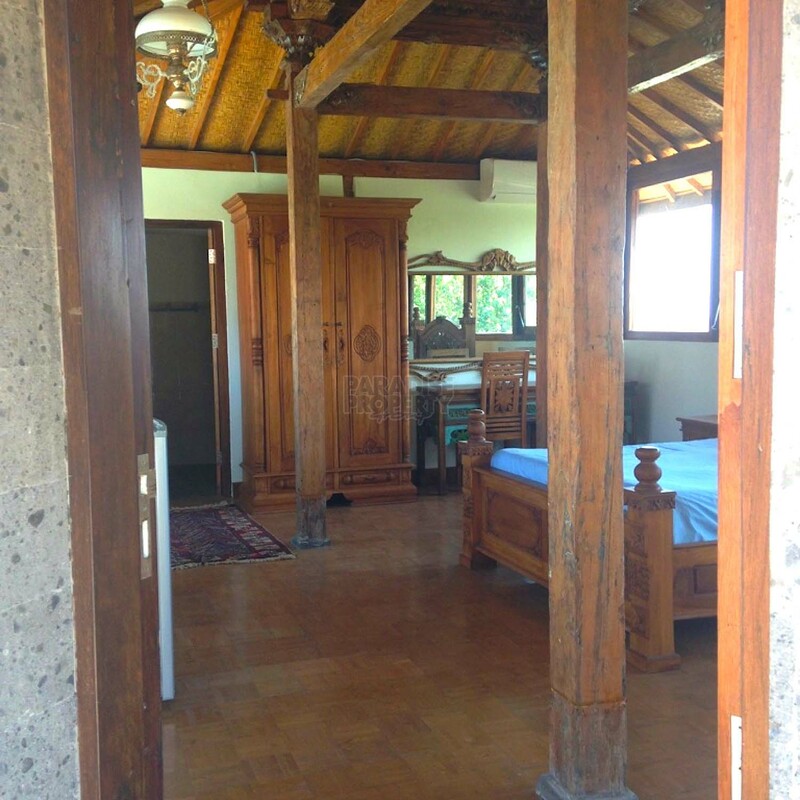 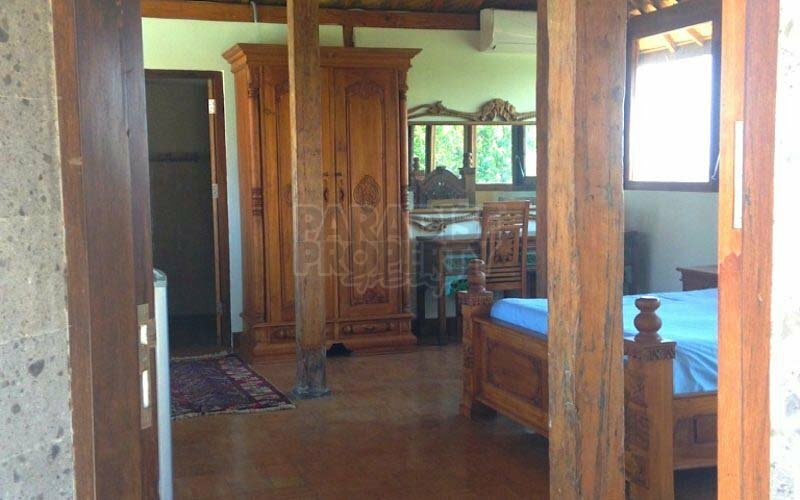 Staff quarters with 2 bedrooms, kitchen and bathroom. 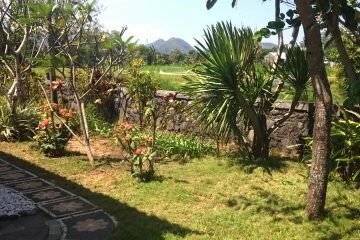 Cleaning and gardening staff on site. 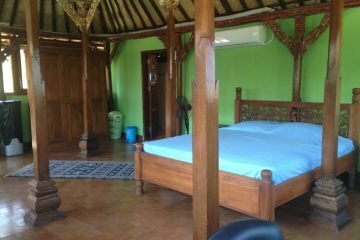 The whole complex is scrupulously clean, fully furnished with teak carved furniture, dishes, pots, pans, appliances and bedding all included.